Storm Angus brings widespread flooding, 80mph winds, vast power cuts and a large trail of destruction, but south coast swell was peaking in style for local surfers. Cargo ships were crashing, scaffolding crushed a car and a 10k running race had to be cancelled as the serious Storm Angus battered the UK coastline. 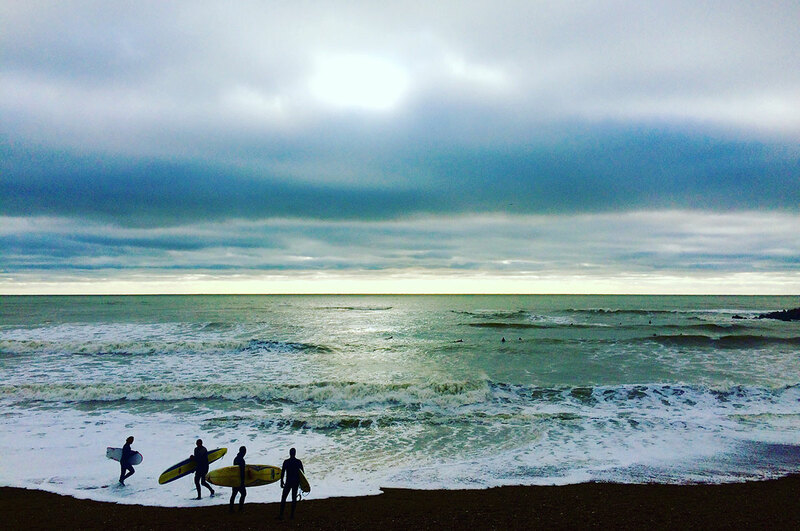 It was not all doom and gloom though as local surfers braved the bitter winds to enjoy the solid conditions that Brighton, Shoreham and further beyond had to offer. The Met Office issued an amber warning in West Sussex, Kent, Brighton and Hove, East Sussex and the Isle of Wight as Storm Angus approached. 59mm of rain was reported to have fallen in a few hours and 81mph was recorded as the highest gust of wind. Further down the coast a major fire in Bognor Regis ripped through the seafront Esplanade fanned by the sheer ferocity of the storm winds hurtling through. Met Office forecaster Simon Partridge had warned before the storm to be prepared as The Guardian reported.